ALBUQUERQUE, NM: Proudly, Equality New Mexico has endorsed Maggie Toulouse Oliver for Secretary of State and Stephanie Garcia Richard for Commissioner of Public Lands. Toulouse Oliver has been instrumental in securing rights for the LGBTQ+ community. Knowing the road to marriage equality in New Mexico led through the courts, she invited the lawsuit filed by Kim Kiel and Rose Griego, et. al. that culminated in the Supreme Court’s 2013 “Griego v. Oliver”, ruling that marriage equality should be the law of the land in our state. 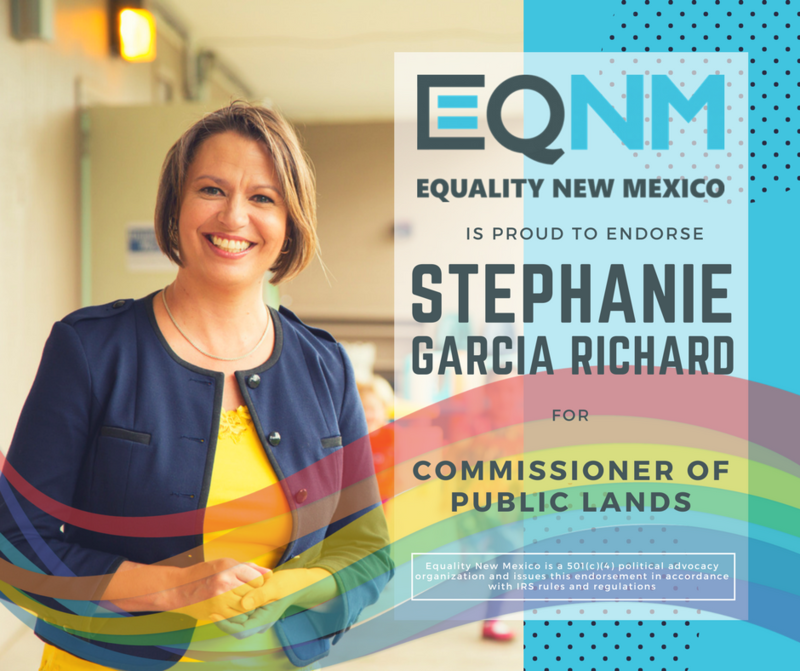 Representative Stephanie Garcia Richard, running to be the next Commissioner of Public Lands, an office traditionally held by men, also received the endorsement of EQNM. Representative Garcia Richard’s questionnaire states, “For over 100 years, and even before that, our land has been rich in shared natural resources and we have not realized the full benefit of those resources. We have sold off our interests to short term profit gain, making due with the piddling we get from those sales, protecting powerful interests, lobbyists and industries at the expense of our people and their welfare. Now, we face an increasingly grim climate reality, health concerns, water scarcity, and a population that faces obstacles to healthcare access, quality education, economic opportunity; a population that faces generational poverty, addiction and cyclical violence and sees no one willing to stick up for them. I’m running to change all that. 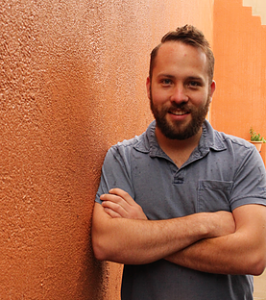 Equality New Mexico—the state’s leading LGBTQ advocacy organization—has announced a new model for the organization’s leadership. In conjunction with the new leadership model, effective June 30th, Amber Royster will be stepping down as Executive Director to allow for a Co-Director structure.